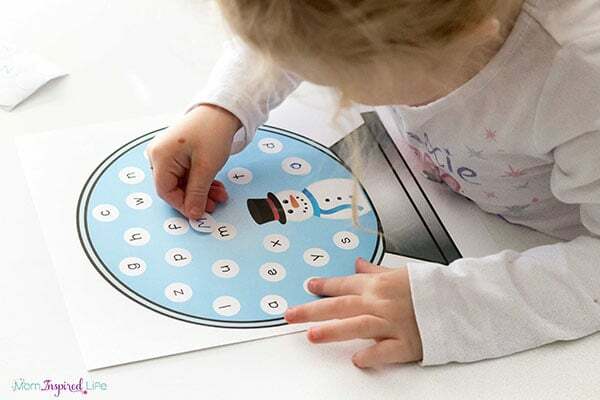 This snowman alphabet activity with free printable is a fun winter activity for preschoolers who are learning the alphabet and need practice with letter matching. 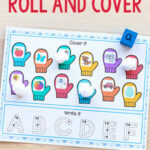 As you many of you know by now, we love to do alphabet activities. It doesn’t matter the season or the holiday, we will find a way to have fun while learning letters and letter sounds. 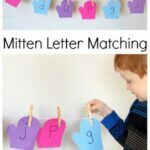 Some of my most popular posts are letter matching posts. I am currently making versions for every time of year. 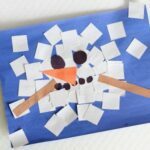 Since winter has arrived, I made this cute snowman letter matching activity for my kids. 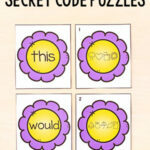 Write the letters on the white dot stickers. You can choose any letter case you would prefer. 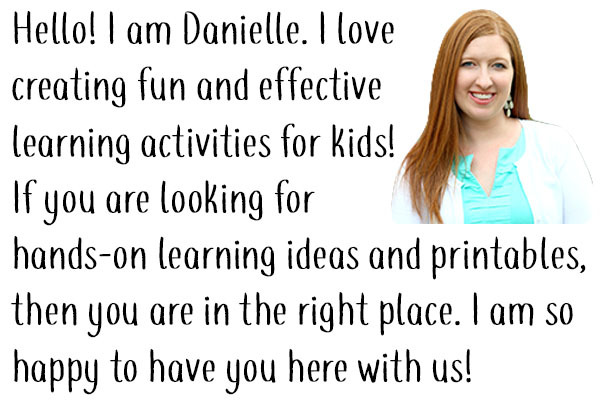 For younger children, I usually do uppercase to uppercase matching or lowercase to lowercase. Then as they get older and more proficient, I start doing uppercase to lowercase and vice versa. That is all you need to do! It’s super simple to set up. I gave my kids the printable and the dot stickers and they knew exactly what to do because they have done so many of these already. 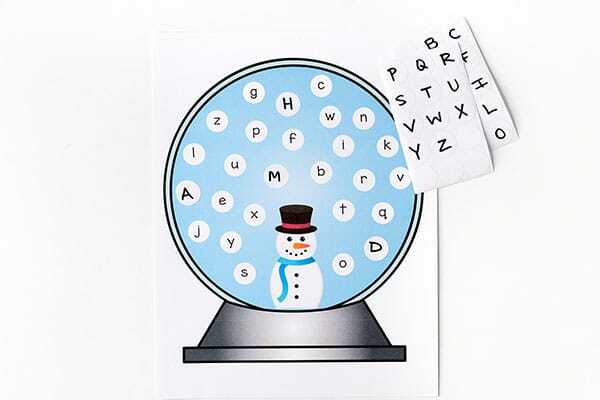 If your kids are new to something like this it would help to model a few letters for them on your own copy of the snow globe. As my kids went through the letters I made sure to say letter sounds for letters they were looking for. I don’t do this with every single letter, but periodically I will say something like “Oh, you are looking for a t! T says ttt like tiger.” I don’t quiz them on it or anything, but I just casually talk about the letter sounds. As usual, my kids really enjoyed this. They just like peeling and sticking stickers. 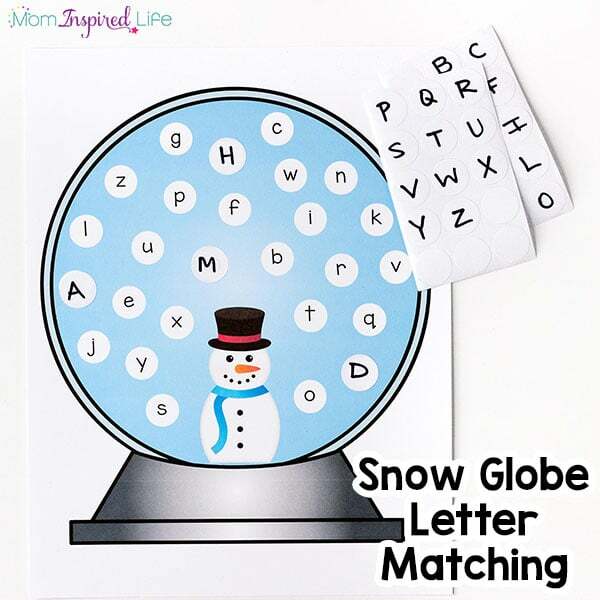 They also like searching for each letter on the snow globe. It’s kind of like an alphabet I spy activity. 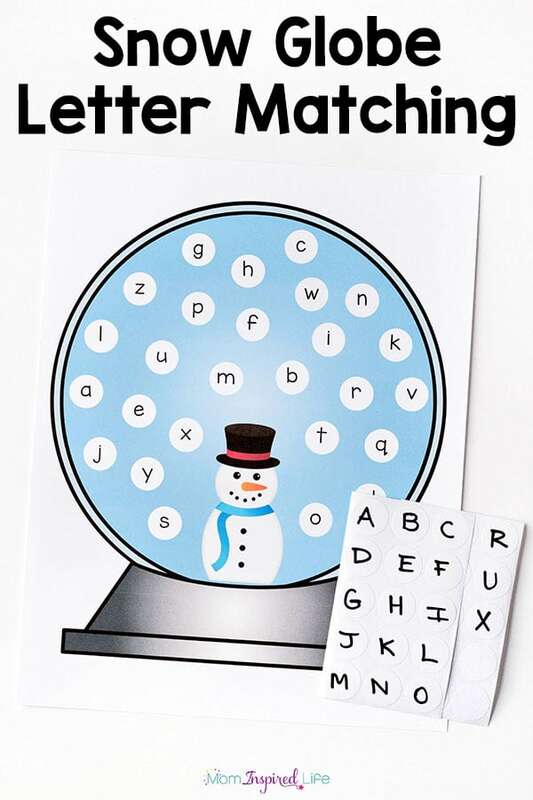 This helps preschoolers develop a bunch of different skills from letter learning to fine motor to hand-eye coordination and even visual scanning. 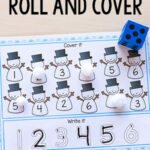 This would make it a great addition to your preschool lesson plans or just to do at home with your kids! 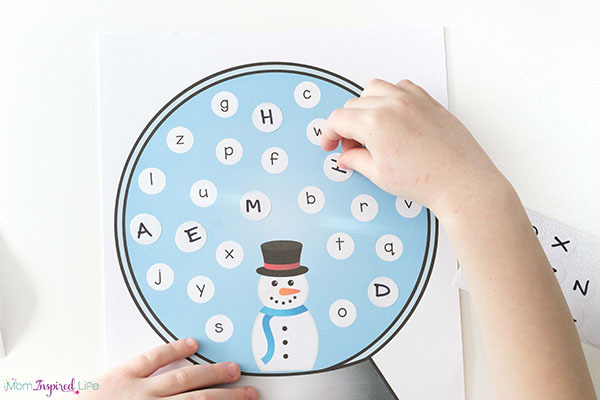 This snowman alphabet activity is sure to pop up again in our home this winter! 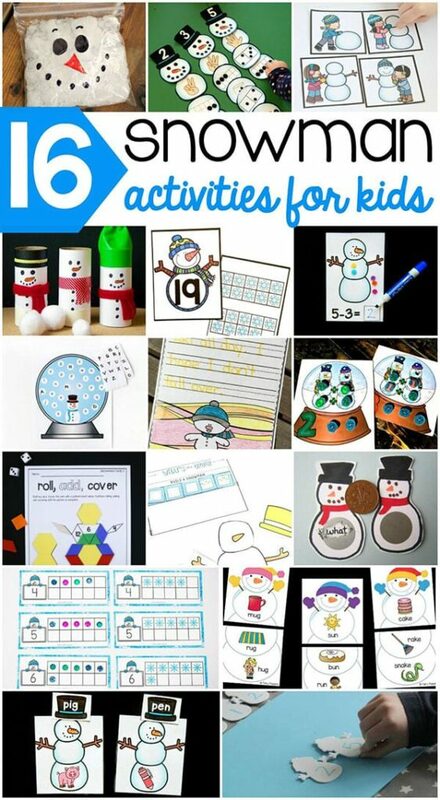 Check out these other fantastic snowman activities!